The Shape Up Pack is designed to give you an inexpensive, simple and convenient way to get the nutrition you need while losing weight and toning up. 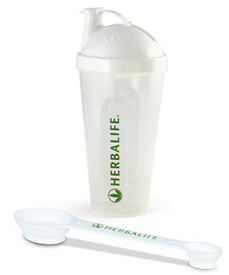 This programme is based on replacing 2 meals per day with healthy protein shakes as well as having 1 healthy meal per day, with additional supplements to assist the weight loss process. The function of each product is described fully below. 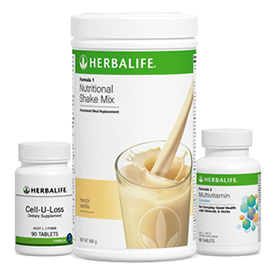 This product is located under the category "Shop Categories >> Weight Management >> Product Packs" on our GoHerbalife Online Retail Website.